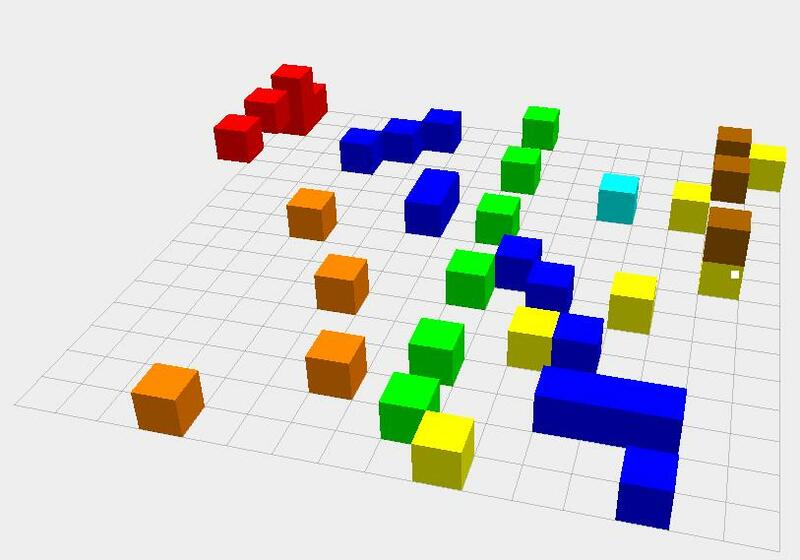 ToneCraft is a 3D synth sequencer, available online for free. You can make your music simply utilizing colored cubes, by moving them on a work plan. ToneCraft is a fun musical game, well-done, available free online without limitations; even if it has not ambitious claims, I would not be surprised to see ToneCraft used for a serious music work. It is very simple utilize this application, based on a intuitive approach, his most powerful feature. ToneCraft is so simple that you can use it to cause curiosity in a children to move colored cubes for listen various sounds! The ToneCraft basic concept was inspired by a previous online software named Tonematrix, a bidimensional synth sequencer, that you can try clicking here. The GUI of Tonematrix is very simple: a square formed by others little squares, which you can click like buttons of a MIDI controller. Every virtual button is associated to a single sound, clicking many squares you can compose simple melodies, performed continuously. If we want make a silence? Re-click a button and it doesn’t play. ToneCraft is strictly linked to the Tonematrix example, from whom recalls the adaptive music concept, a music capable to evolve alone, by modifying a single parameter within of a complex data structure. 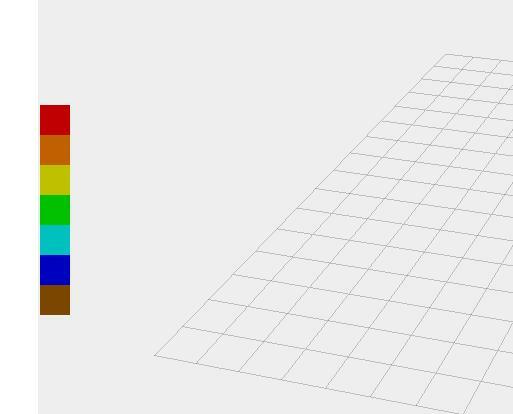 Even the Tonematrix GUI inspiring that of ToneCraft, based on a single square formed by 16×16 little squares, for 256 total notes. A screenshot of Tonematrix, the synth sequencer designed by Audiotool that inspired ToneCraft. The first important novelty, in Tonecraft, is the work plan; bidimensional in Tonematrix while tridimensional and adjustable in ToneCraft. How? Clicking the Shift button and moving your mouse, to find your perfect visual orientation. After positioning your work plan, you can compose many loop as you want. 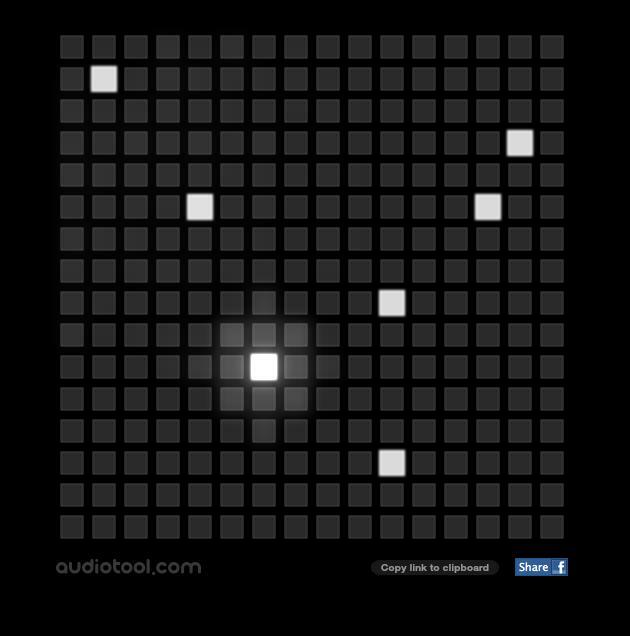 Clicking on a single square, you can listen the associated sound. If a mistake, you can erase your note by clicking Alt and the left button of your mouse. So, you can compose not only individual melody lines, but also complex chords, simply clicking on more squares for each color. After combining all elements, the Tonecraft work plan appears look like this. However, the main novelty, in respect to Tonematrix, is the opportunity to choose your timbre within a list of 7 different sounds, presented in the left column: red, yellow, azure and blu are associated with synth-generated sounds, orange and brown with sounds like xilofono and marimba, while the green color is linked to various rithmic sounds. Choose your color, and click on your work plan. The left column with the seven colors, associated to seven sounds. Now you can compose your song, adding melody cubes or rhythmical. If you are not satisfied by your final work, no problem: click Reset, and your work plan magically is clean. But if your work is a great song, then you could share it with your Facebook and Twitter friends, clicking on Share your tones; maybe you could become famous, at least among your followers. Want to try? Click here, and good performance to all!